Have you been wanting to get your hands in the mud for some much needed natural building experience? If so, join us this fall for a 5 day introductory Natural Building Workshop. In this course, you’ll get essential hands-on experience stomping and sculpting cob, building light clay straw walls, and mixing and applying various natural plasters. Additionally, we’ll go and tour several unique natural homes in the local community and get exposure to some real life examples of successful natural building design. If you’ve been curious about natural building but you need a jump start, this is the course for you. 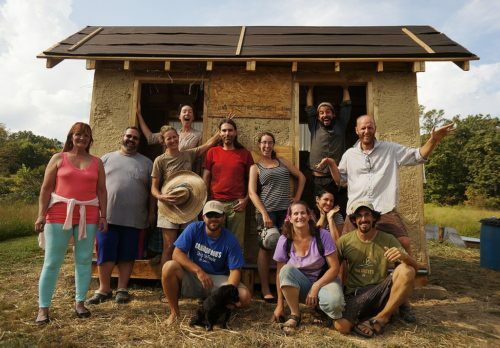 « Learning to Live Off-the-Grid with Fast Cob!